This post will take you through the end of the month. Look for the complete May program page to be posted by April 30 (fingers crossed). Site closings for Easter on April 21 are listed below; the info is accurate to the best of my knowledge. 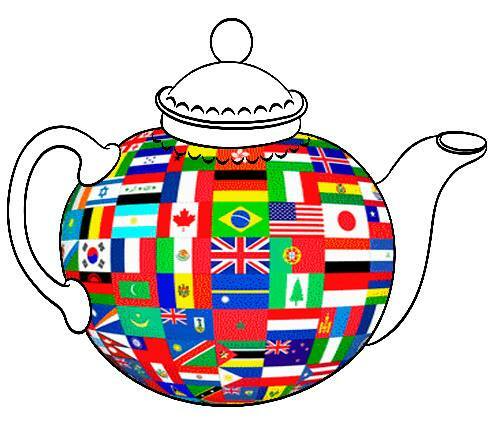 May 1: Deadline to RSVP for Spring Tea—this year's spring tea, set for May 4 at 1 pm, is "An Immigration Celebration," exploring the role of immigrants in the Scranton area's past, present, and future. The event is geared for visitors age 12 and older. Suggested donation of $20 per person (more details). This event sold out lasst year, so don't wait! April 23: Revolutionary Dining Series—author Christian Di Spigna will present "Founding Martyr: The Life and Death of Dr. Joseph Warren, the American Revolution's Last Hero" at The Gables at Chadds Ford. Cost is $50 per person and includes dinner, dessert, and the program (cash bar available). More info and online ticketing is available on the website. 6 pm. April 28: Making Sense of History—check out the Facebook Event page for more details on this multi-sensory program. Noon-4 pm. April 27: Sheep and Fiber Day—the Homestead sheep will be sheared and artisans will demonstrate various steps of the textile production process (more info on Facebook event page). Vendors will be on hand with items made from alpaca and sheep's wool. Food will be available for purchase throughout the day. Cost is $7 for ages 13 and up, free for Friends members and kids age 12 and under. 10 am-4 pm. April 27: Something More Saturday—it's Engine Start Up Day, as the Olin engine that runs the Central Powers exhibit gets restarted for the 2018 visitation season. Blacksmith demonstrations will also be on the schedule. Included in regular admission. 10 am-3 pm. April 19: Easter Egg-stravaganza—this Little Mates Kids Club event will include a visit with the Easter Bunny. Cost is $5 per person, free for members of the Little Mates Kids Club. 10 am-noon. Please visit the website for information on hours and programs. April 24: Lunch and Learn—"Hannah Penn" is the topic, and the speaker is Doug Miller, site administrator at Pennsbury Manor. Pre-registration is required (Details on program and link to registration form). 10:30 am-1:30 pm. April 28: Site open—guided tours are at 1:00 and 2:30 pm. Admission charged. 1-4 pm. Multiple Dates: Craft and Trade Classes for Adults—visit the Landis Valley website for the full list; times and fees vary. April 27: Saturday Spotlight Programs—a variety of lectures, demonstrations, and hands-on learning will be presented. Costs and details vary, so check the website for more information. April 20: Paths Less Traveled—enjoy a behind the scenes tour of the Manor House, visiting areas not generally open to the public. This is a Members-Only Event, but it's never too late to join. Reservations are required; call 215/946-0400. 10 am-4 pm. April 28: Sunday Programming—this week's focus is Beer Brewing and Garden Highlights. Included in regular admission. Programming runs 1-4 pm, site open noon-5 pm. May 2: Potter County Envirothon—local high school students test their knowledge of ecology, conservation, and the care and management of our natural world during this annual event presented in cooperation with the Potter County Conservation District. 9 am. 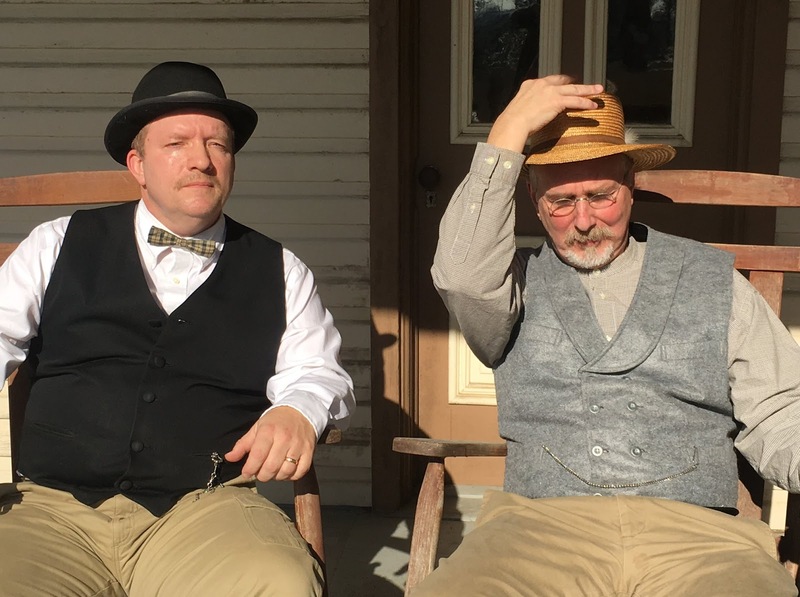 April 27-28: The Great War Remembered—this weekend remembers World War I with lectures, film, and a living history encampment that demonstrates life on the Western Front. Saturday lectures at 10:30, 1:30, and 3:30. Sunday film at 1:30 (check the website for details and updates). 10 am-4 pm each day. April 25: Wine & Paint Night—we'll supply the art materials, light snacks, and the subject (a world-class locomotive). You supply your beverage of choice and the desire to learn to paint. Artist Michelle Verdegem will lead the class, which will take place among the trains (more info on Facebook event). Class is limited to 20 adults (purchase tickets online through Eventbrite). 6:30-8 pm. April 26-28: Cottage Craft Coopering—learn the traditional skills of the cooper, using hand-tools to make your own maple sugar keeler (bucket). Workshop teachers include people who have been coopering for many years and learned from the best. More info and registration details on the website. Planetarium Schedule—visit the website for a complete schedule of planetarium shows. The April program page is now available. It will be updated as new info comes in. This week's post will take you through April 18. A quick sneak peek: most sites will be closed on April 21 for Easter, but many have Easter-related events coming up. April 13: 18th Century Day—learn about 18th-century Joseph Gilpin, Jr., and the role the blacksmith played in 18th-century life. The site's working blacksmith shop will be open for demonstrations. Included in regular admission. Noon-4 pm. April 14: Kid's Day—two popular school field trips programs will be presented for general public today. 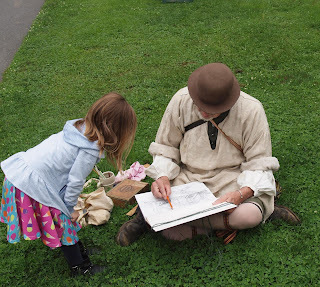 Learn about soldier life in the Continental Army and about communicating by letter in the 18th century. Regular admission charged for adults, but kids get in free. Noon-4 pm. 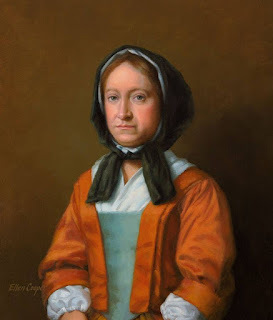 April 7: Spring Lecture—Michael Wes Loder will discuss his book, Taken Beyond the Ohio, about the captivity experience of Marie LeRoy and Barbara Leininger, taken near Penn's Creek in 1755 (read more on Facebook event page). Program is free, and donations are welcome. 2 pm. April 13: Workshop—learn about painted blanket chests and paint your own miniature to take home. Details and registration instructions on the Facebook event page. Deadline to register is April 1. April 9: Friends Lecture Series—Doug Powell will present "The Greenhouse at Cornwall Manor," recounting its history from 1881-82 (when it was built) up to its 2018 restoration (more info on Facebook event page). The program is free; donations welcome. Lectures are held in Freeman Hall auditorium at Cornwall Manor. 7 pm. April 6: A Festive Occasion—enjoy an evening of delicious food and an auction of high-quality items, all in support of Ephrata Cloister and its programs. The event takes place at Bella Giardino (The Inn at Leola Village), starting at 6 pm. More info about the event and instructions for purchasing tickets available on the website. April 7 & 14: Site open—guided tours are at 1:00 and 2:30 pm. Admission charged. 1-4 pm. April 5: Paint Night at the Museum Store—support Landis Valley's programs and create a painting of a Cotswold sheep (one the historic breeds found at the museum). Artist Michelle Verdegem will lead the session (more info and online registration). 6:30-9:30 pm. April 13: Spring Benefit Auction—silent and live auctions, plus yummy food (see website for more details). Preview and silent auction begin at 4:30 pm, live auction begins at 5:30. April 6-7: Opening Weekend—bring in a donation for The Ladle and the Hearth, Ambridge Soup Kitchen and Pantry to receive free admission (check their website for list of most-needed items). 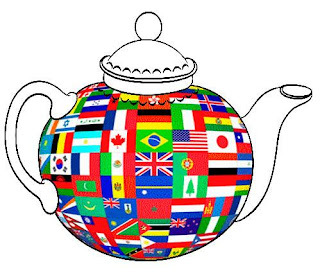 On Sunday, April 7th, Stone Soup will be prepared in the Cauldron at the Community Kitchen and the story of Stone Soup will be read at 1pm and 3pm. April 6: Saturday Spotlight—today's class is "Introduction to Blacksmithing" - space is limited and registration deadline was March 27, so please check with site to see if there's still room (details and contact info). April 13: Easter Egg Hunt—hunt for Easter eggs, visit with the Bunny, and enjoy a light snack. Reservations ($5 per person) are preferred by April 9; tickets are $7 per person at the gate. Details are on the website. 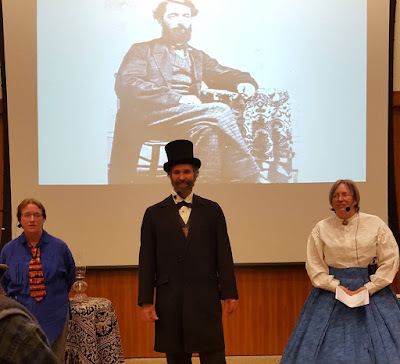 April 6: Monthly Book Club—this month's book is H. Donald Winkler's Stealing Secrets: How a Few Daring Women Deceived Generals, Impacted Battles, and Altered the Course of the Civil War (details on the website). 10-11 am. April 7 & 14: Sunday Programming— April 7, Historic Trades Day; April 14, Play the Past! and learn games that 17th-century families would have played. Included in regular admission. Programming runs 1-4 pm, site open noon-5 pm. 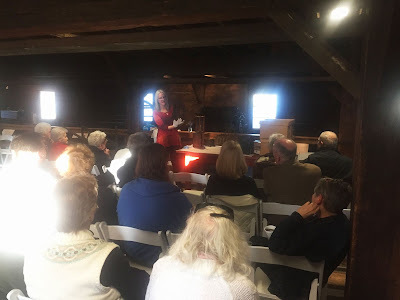 April 13: Conversations in History—this month's discussion is "Chartering Pennsylvania, 1681-1682" (more info on the website). Included in regular admission. 10-11:30 am. April 14: In Sickness and in Health—follow along with Hannah Penn and learn what she knows about taking care of her family's health. Program takes place at 1 pm and 3 pm; regular manor house tours are scheduled for 12:30, 1:30, 2:30, and 3:30. Included in regular admission. Site is open noon-5 pm. April 18: Paint and Sip—let the Pennsbury landscape inspire your artistic expression. BYOB. Reservations are required; call the site at 215/946-0400. 6-8 pm. April 13-14: Spring Antique and Collectible Show and Sawmill Run—vendors from all over the U.S. will be selling a variety of wares, and there will be a silent auction. 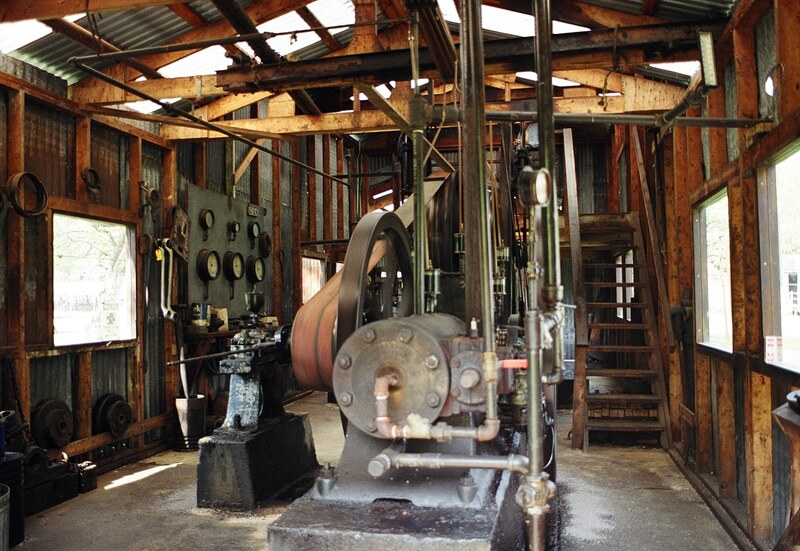 The museum's sawmill will be in operation on Saturday, and the birch still will be demonstrated both days. Admission charged, includes access to museum exhibits. Food and drink will be available for purchase. Saturday, 9 am-4 pm; Sunday, 9 am-3 pm. April 7: Friends Lecture Series—Dr. Kelly A. Wolgast will present "A View of Current Military Nursing in the United States," drawing on her 26 years of active duty with the U.S. Army, including service in Afghanistan (more info on the website). 2-3 pm. April 13: Kids Day - Dress Up and Discover! !—kids of all ages can try on field gear and head gear from the museum education collection and explore education stations throughout the galleries. Included in regular admission. 10 am-3 pm. April 14: American Revolution Round Table Speaker Series—Ed Lengel, former chief historian of the White House Historical Association and 2018 Colonial Williamsburg Revolutionary in Residence historian, will be the speaker for the launch of the 2019 Speaker Series (more info on the website). 2-3 pm. April 6: Rails & Ales—this event brings together brewers and food vendors to support the museum's programs. Tickets are available online (VIP tickets are sold out). Must be at least 21 to attend; designated driver tickets are available. 7:30-10 pm. 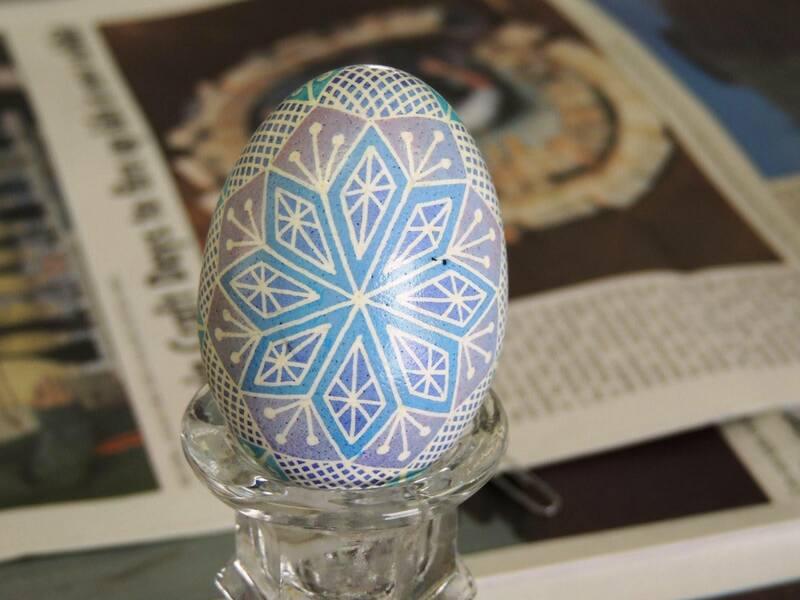 April 6: Pysanky Egg Workshop—explore the art, symbolism, and joy of creating traditional Ukrainian pysanky eggs in this workshop taught by local artisan Jennifer Mudery. Cost is $35 per person, $30 for members (includes $5 materials fee). More info and online registration. 10 am-3 pm. April 13: Common Threads Symposium—this program is offered in conjunction with Laurel Arts and features fiber vendors, artists, and presentations by fiber experts. Admission is free. Presentations scheduled for 11 am and 1 pm; the visitor center is open 9 am-5 pm. April 5: StoryTime—this month's story is David Kherdian's Come Back, Moon. The program, geared to children age 3-5 with an adult (more info on the website). Included in general admission. 10:30 am. Last week's post covers events this weekend through next Thursday, and the April program page is now available. Hard to believe that March is almost over. Our preservation and stewardship work on the Trails of History is vitally important, but so is the work of sharing our historic sites and their stories with the public. I had a handful of interesting examples in my news feed this week. Is it a coincidence that most of them involved food? You be the judge. Today, March 29, marks the 200th birthday of Col. Edwin Drake, who drilled the first successful oil well in northwestern PA. Last week, as part of the Petroleum Program Series, staff and volunteers at Drake Well Museum and Park presented an educational talk about Col. Drake, his wife Laura, and the birth of the petroleum and gas industry (see article from the Titusville Herald for an indepth look). Tomorrow, March 30, visit Drake Well for a meet and greet with the Colonel at 12:30 pm - there will be cake. Landis Valley Village and Farm Museum introduced a new program earlier this month called "Lunch with the Landis Brothers," which included behind-the-scenes tours of the museum collection initiated by George and Henry Landis and the museum they founded on their family's property. On May 4, you can take tea with George and Henry's younger sister, Nettie May, and learn about her life and times (more info on the website). Earlier this week, members of the Friends of Old Economy Village were treated to "Coffee with the Curator" and enjoyed a close-up look at some of the original Harmonist artifacts in the collection. Membership in the various Associate groups on the Trails of History supports the programs and projects at their respective sites. Benefits generally include general admission and museum store discounts, but also access to members-only programs and behind-the-scenes tours.